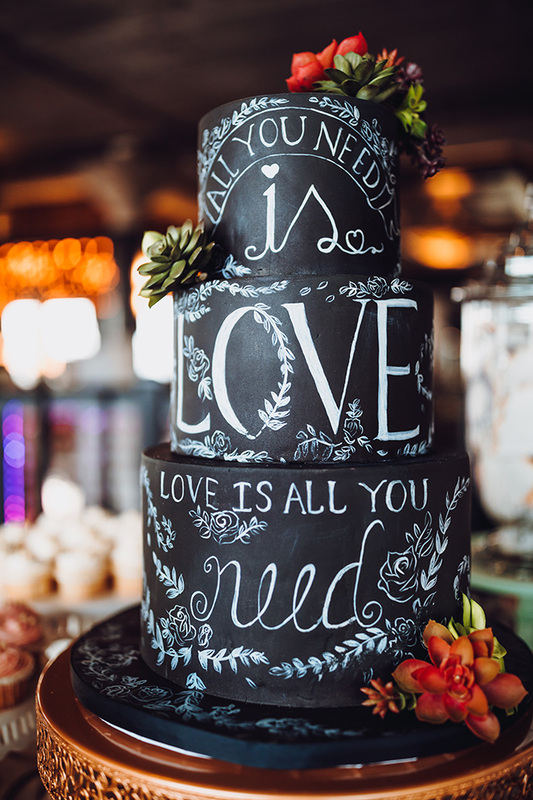 Our I Do! 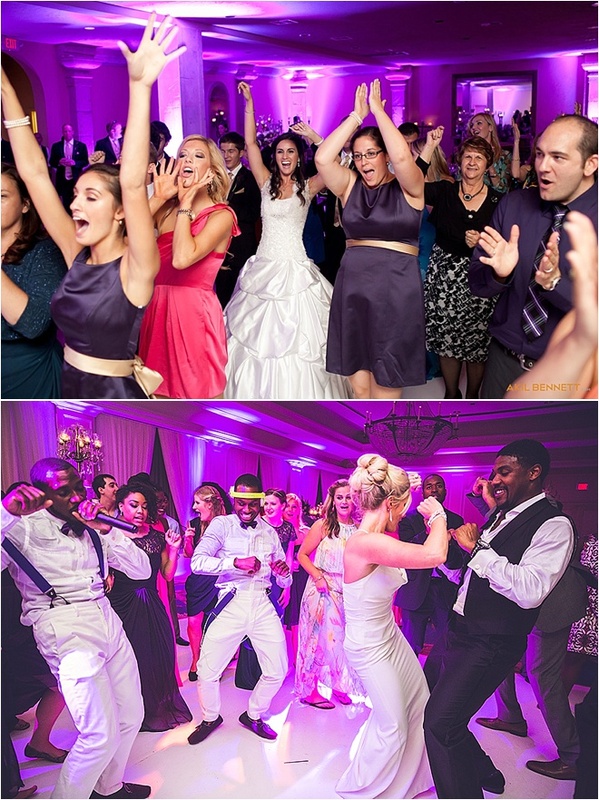 Wedding Soiree always impresses, but this year it was on another level, y’all! 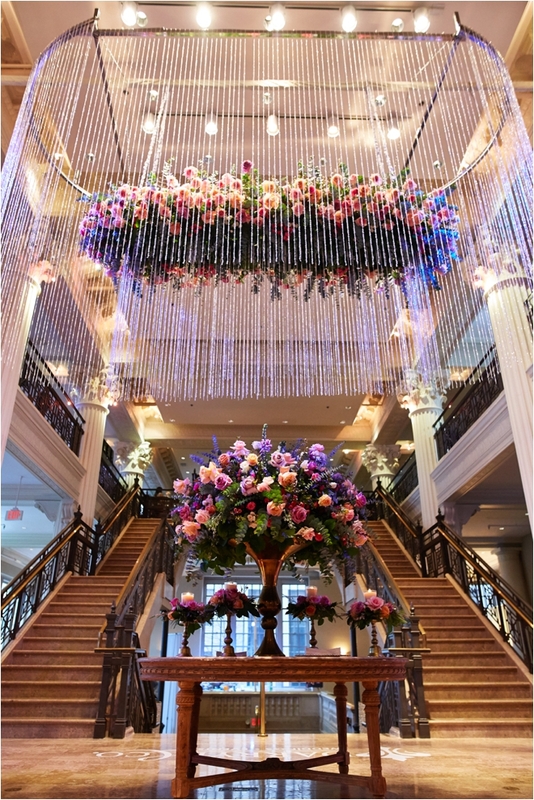 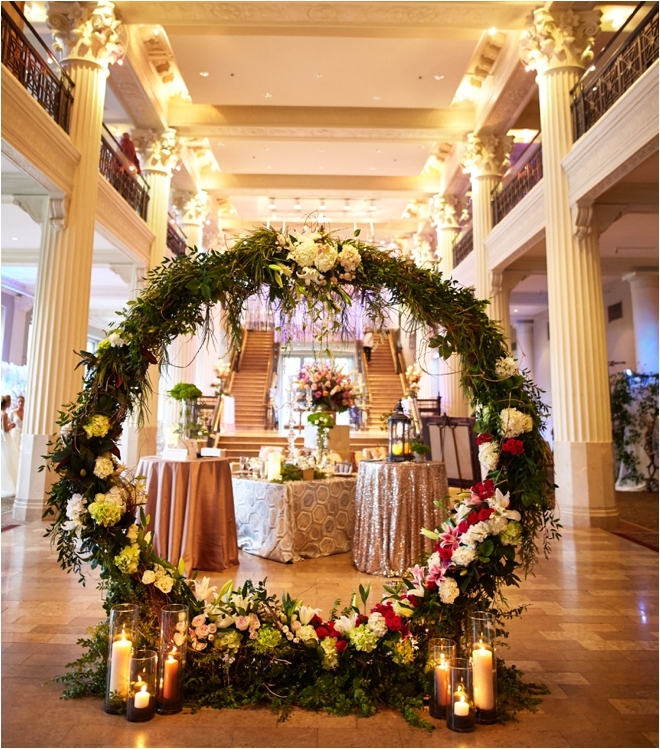 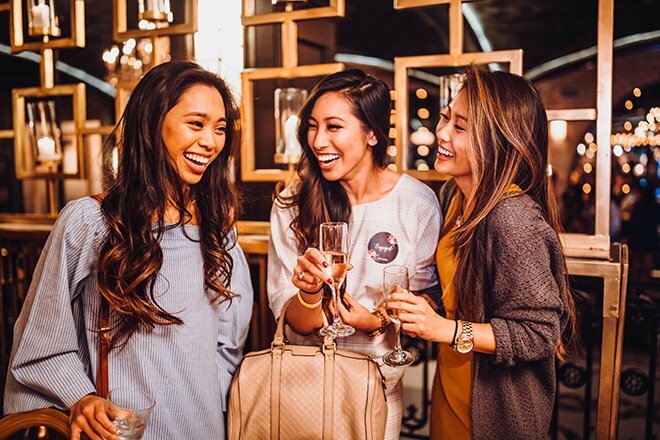 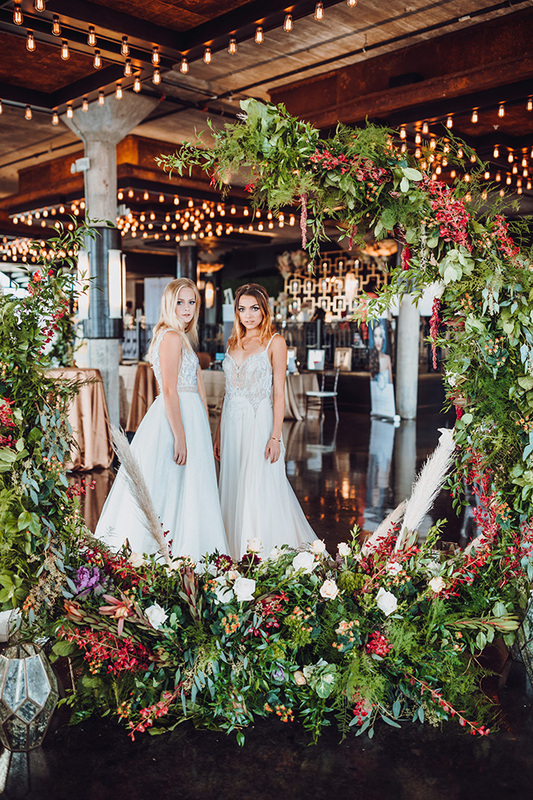 We sold out every last ticket to the luxurious show, with wedding couples, bridesmaids and MOB’s lining up along our host The Corinthian’s grand staircases, eager to get a chance to meet, greet and mingle with the best of the best in Houston’s wedding business! 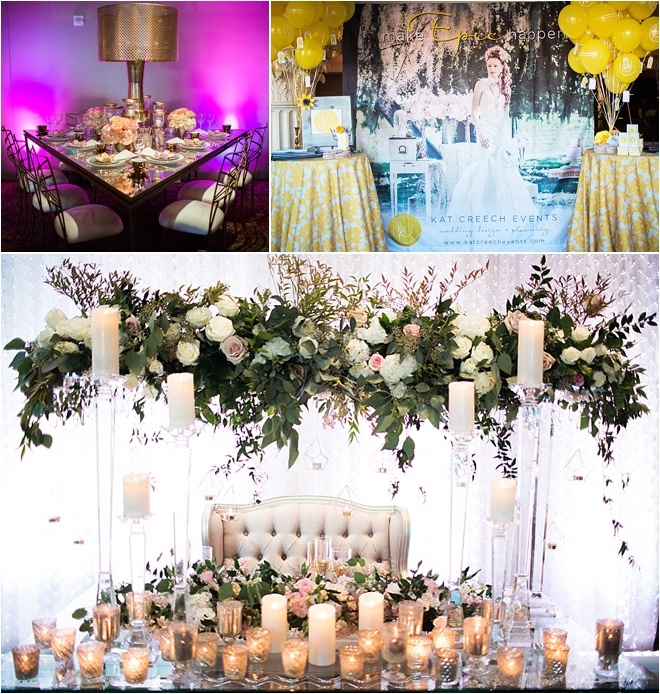 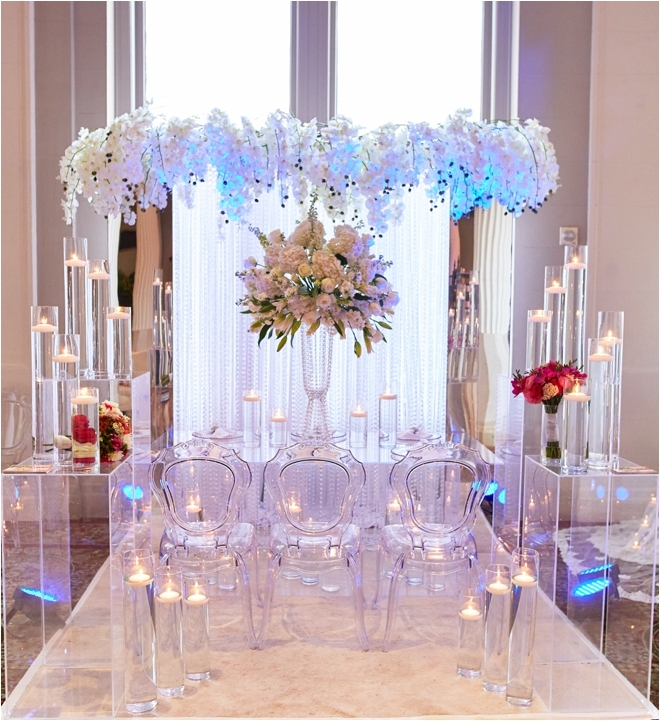 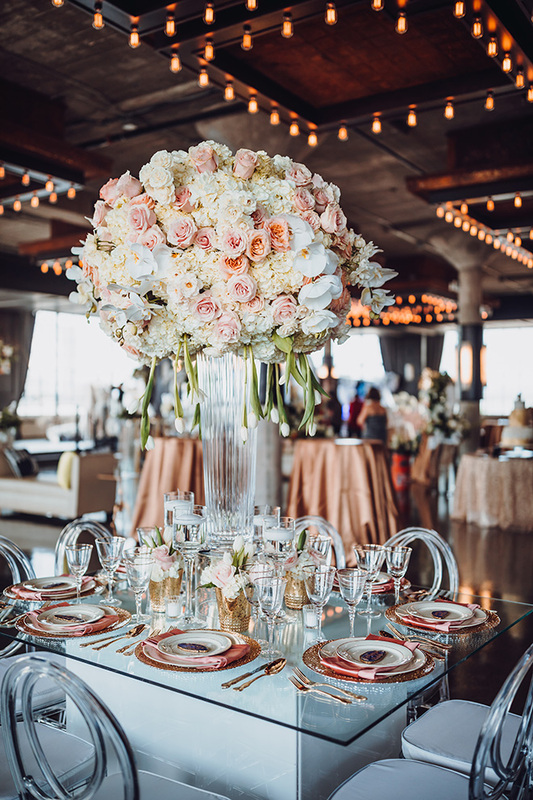 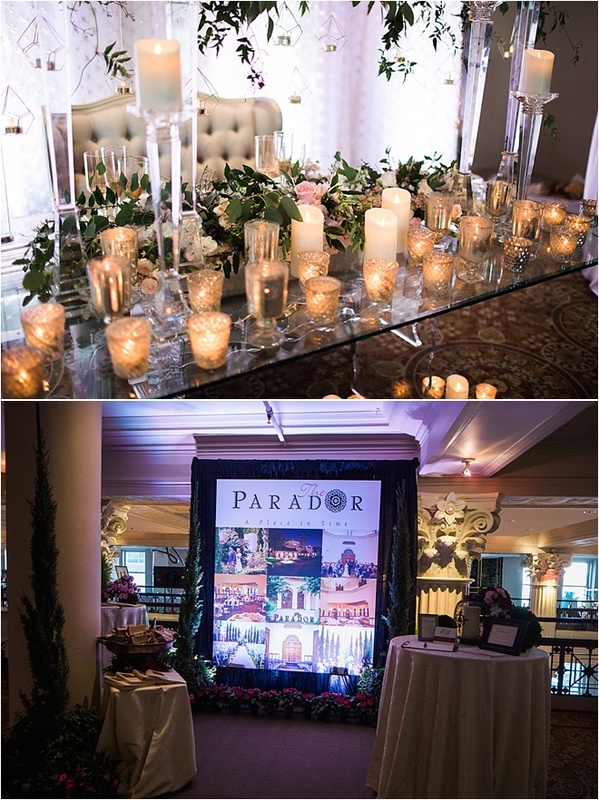 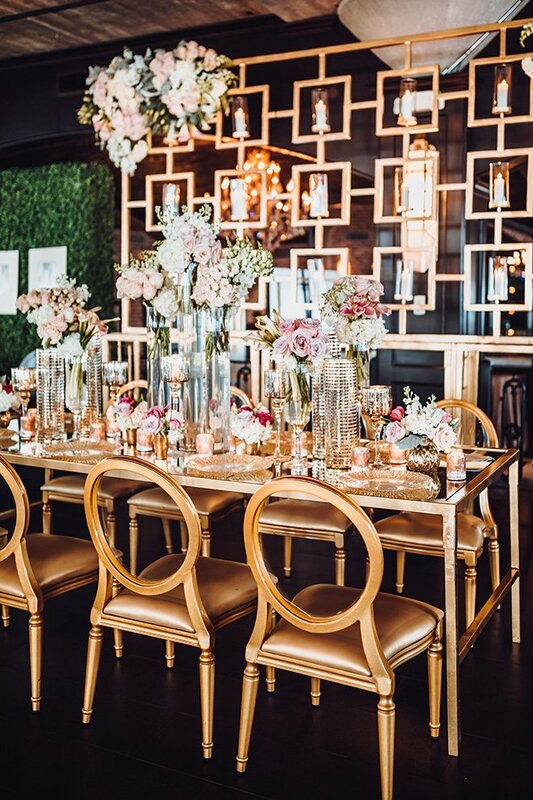 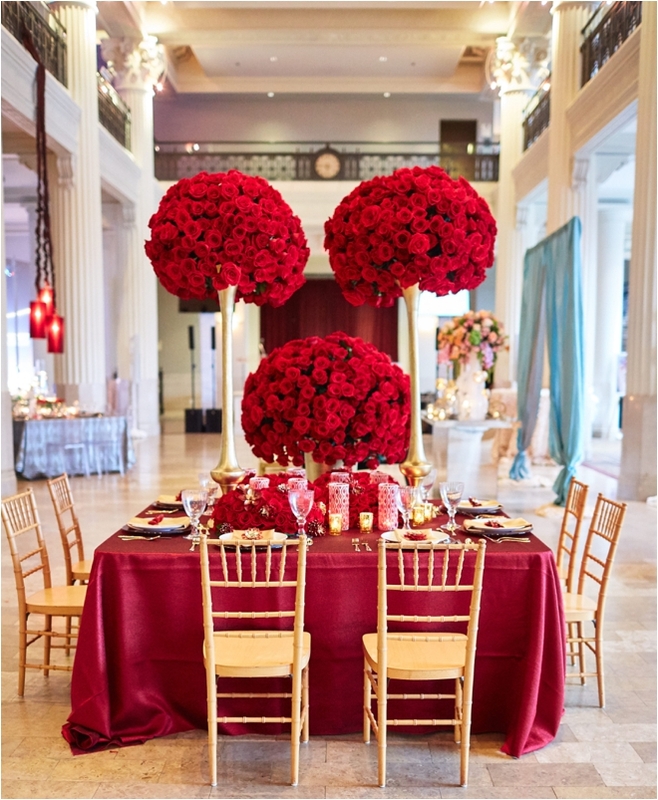 We can’t thank our guests enough for helping us celebrate Houston’s only luxury wedding event of the season! 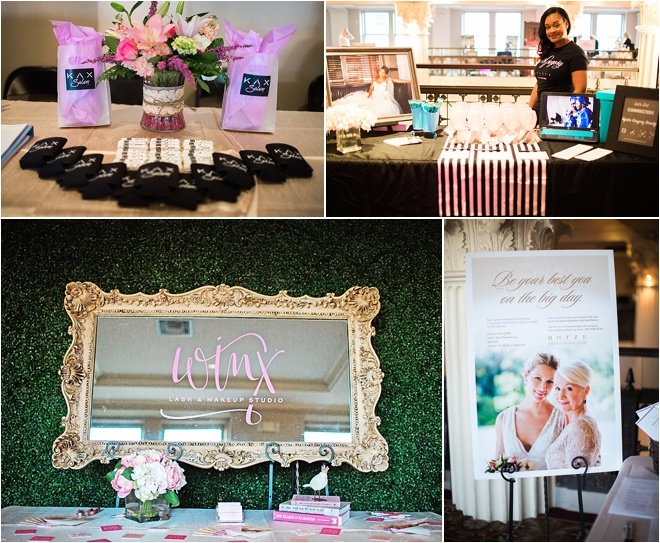 It warms our hearts to see you adorable wedding couples engaging with our stellar photographers, wedding planners, bridal salons, beauty experts, jewelers, entertainers and more. 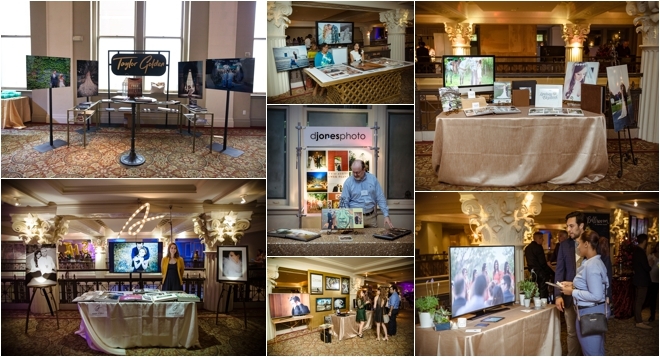 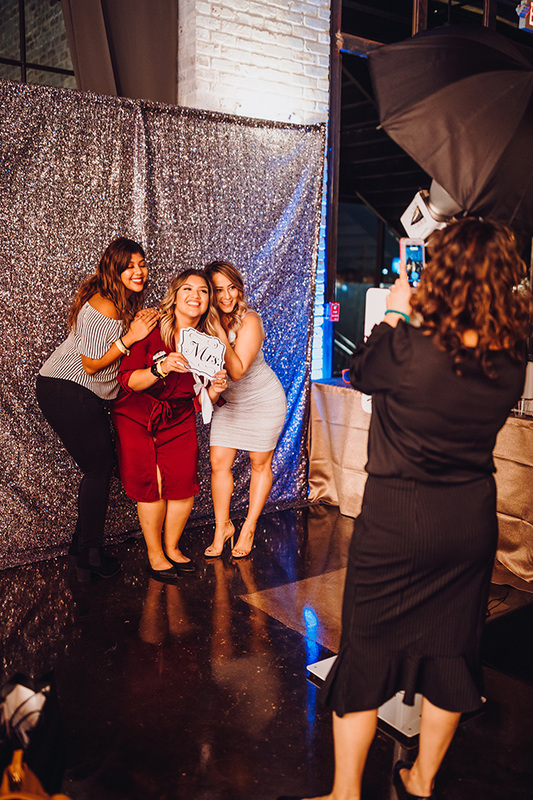 If you missed the Soiree, or want to relive the extraordinary event, check out these gorgeous images from our official show photographers, Civic Photos and Dream Photo & Video. 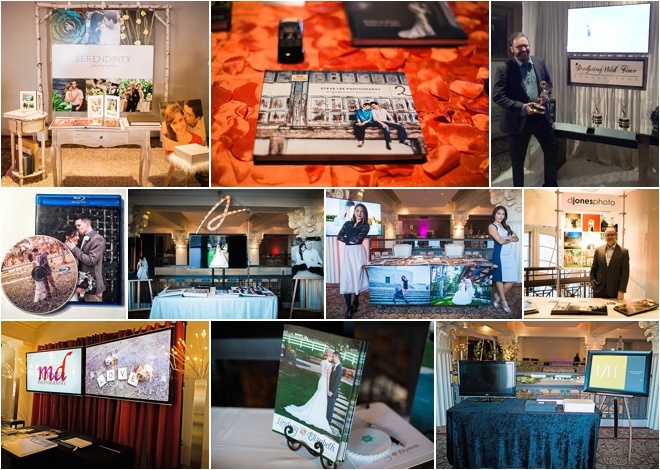 Guests at the I Do! 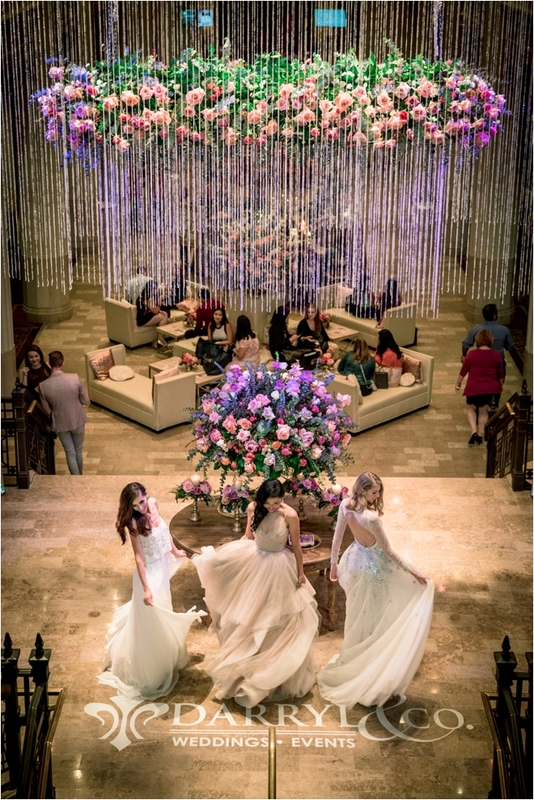 Soiree were welcomed by gorgeous models in gowns from some of Houston’s finest bridal boutiques. 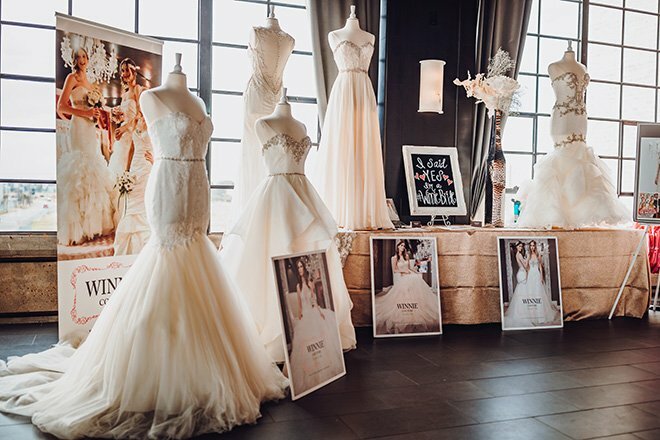 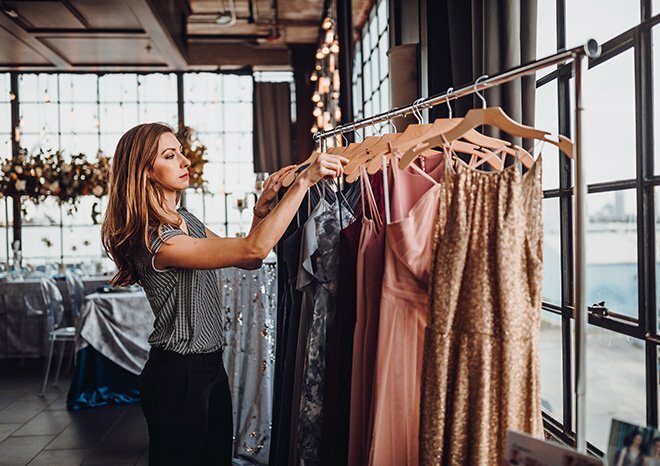 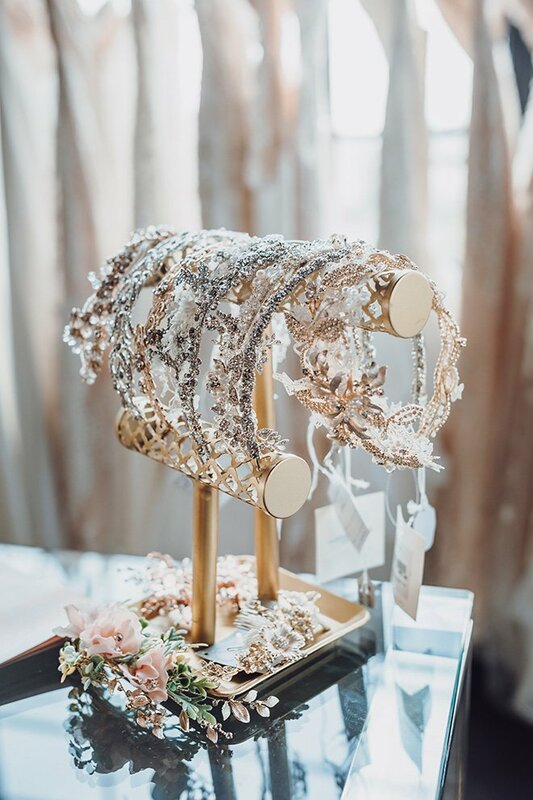 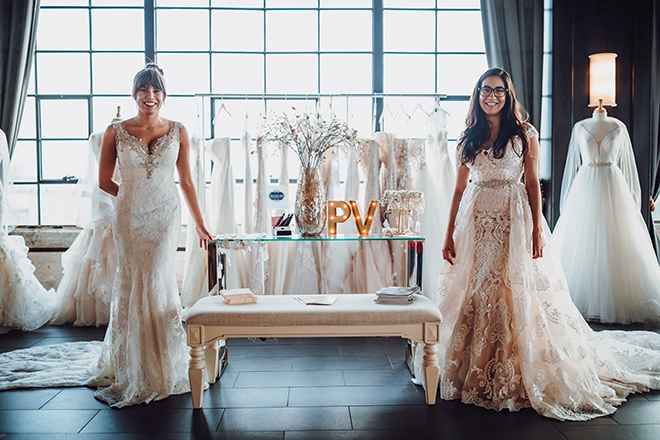 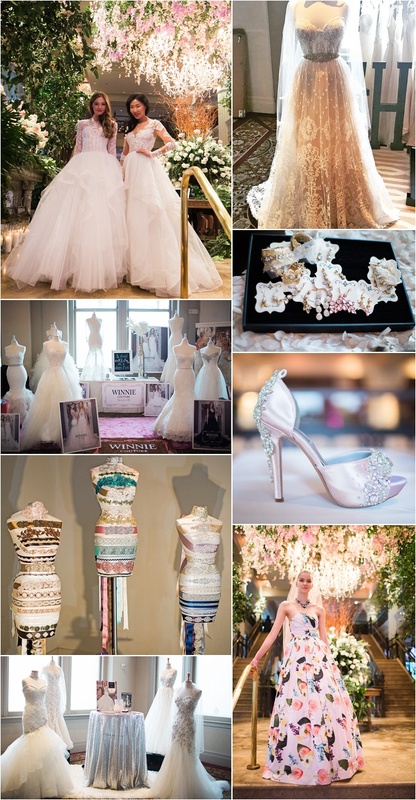 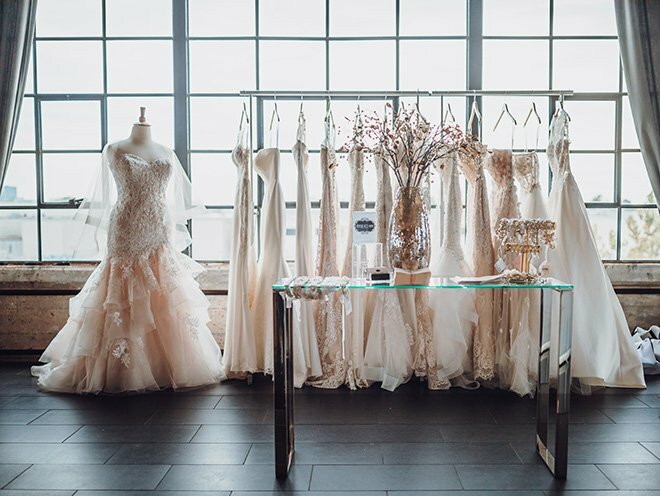 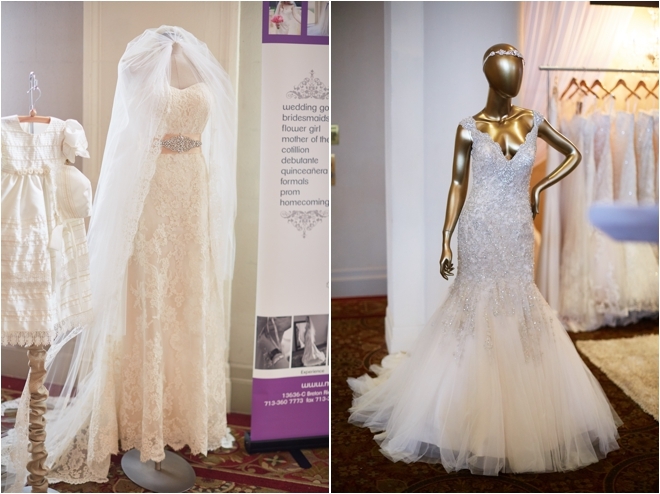 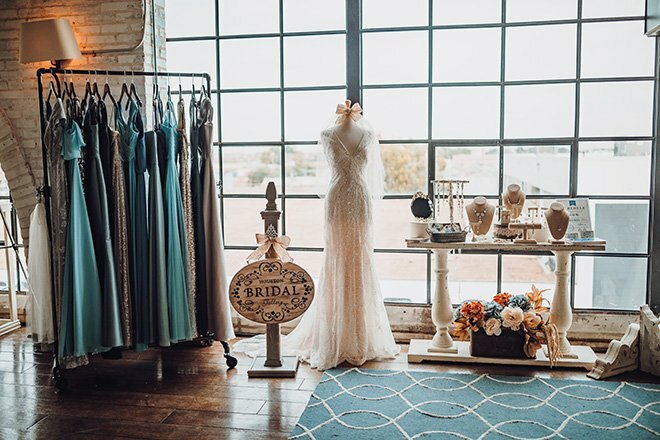 Throughout the entire event, brides could see and touch gowns from Houston Bridal Gallery, Ivory Bridal Atelier, Parvani Vida Bridal and Formal, MW Couture and Now & Forever Bridal Boutique. 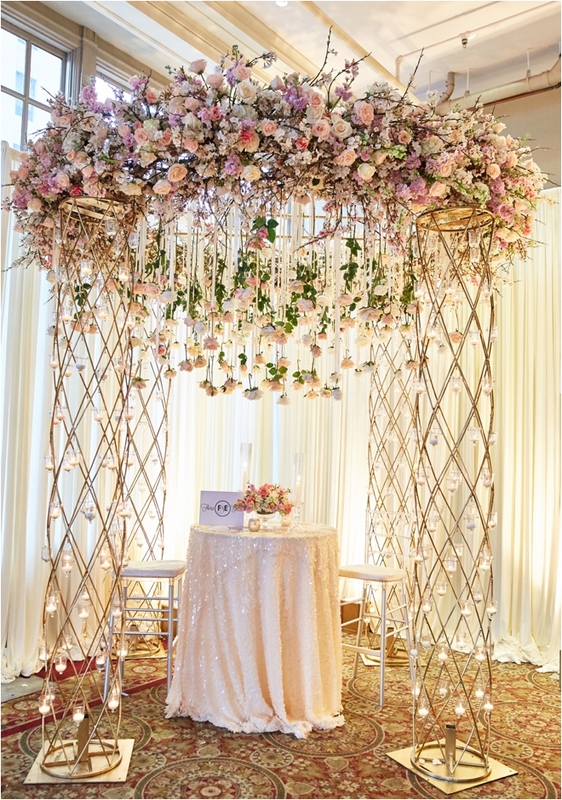 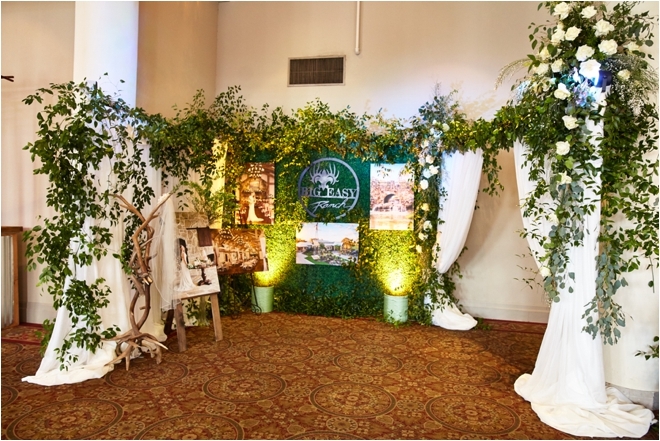 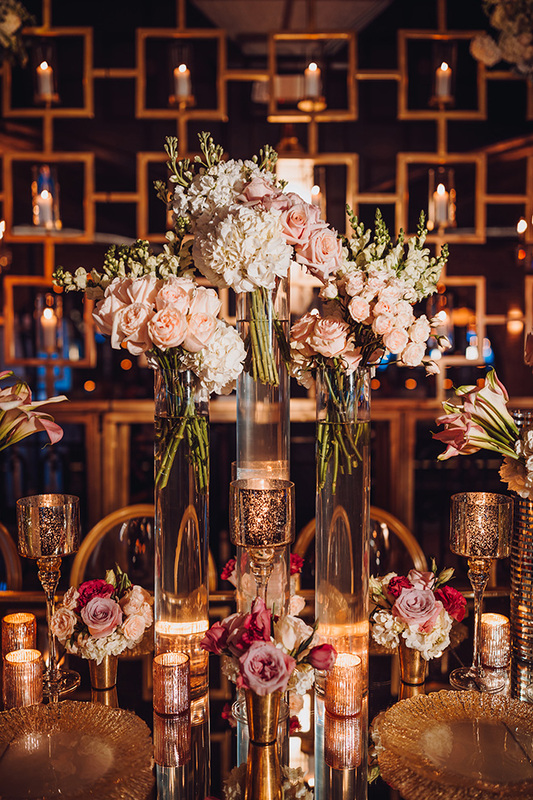 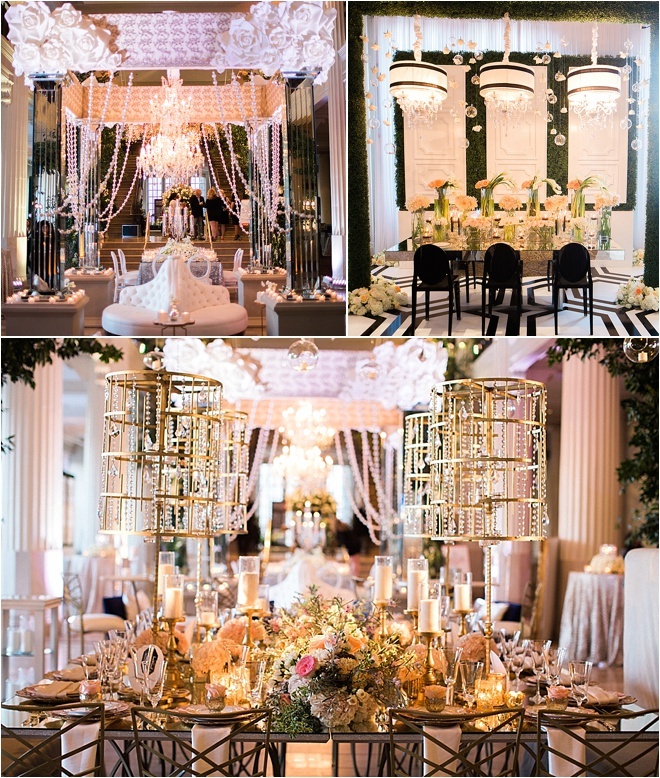 Elaborate florals and decor were orchestrated throughout the entire venue. 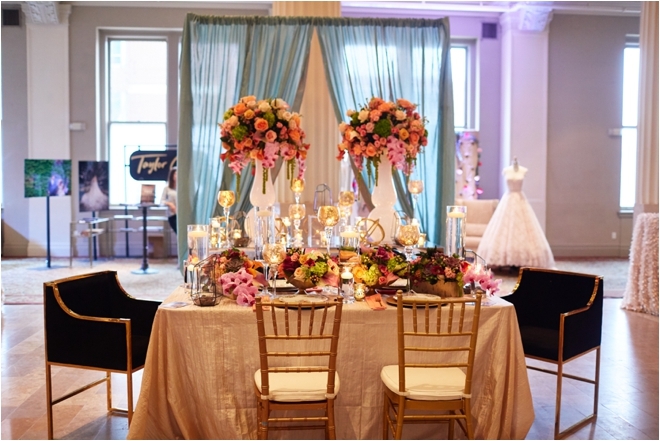 Designs on display came from Blooms Design Studio, Darryl & Co., Flora & Eventi, Haute Flowers & Events, Keisha’s Kreations, LBL Event Rentals Inc. and TnT Events. 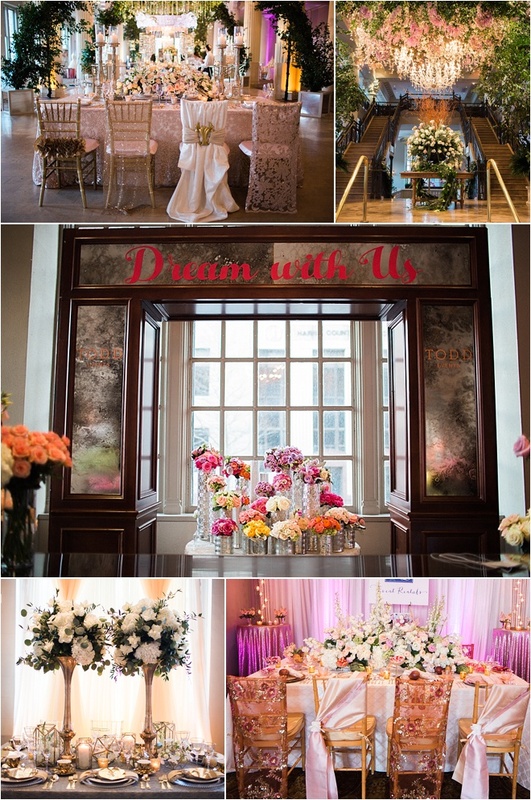 Photo: Civic Photos | Decor & Flowers: LBL Event Rentals Inc.
Photo: Civic Photos | Decor & Flowers: Darryl & Co. 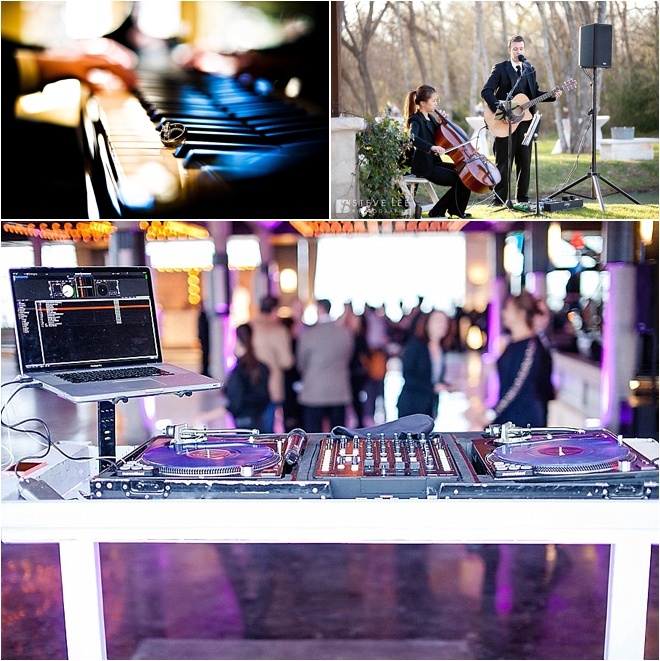 The gorgeous sights were complemented by sounds from all types of musical entertainers and DJ’s. 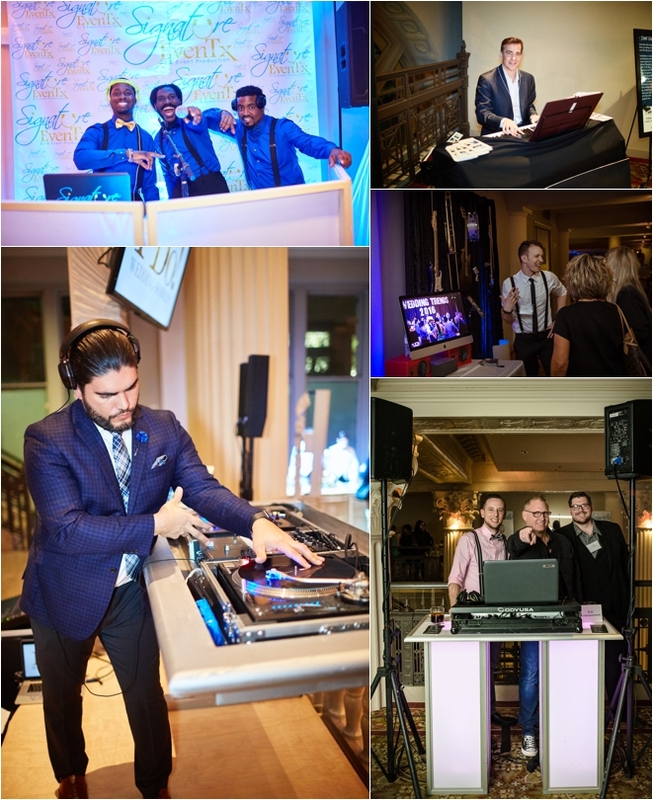 LG Entertainment served as the MC for the night, while Danny Ray & The Acoustic Production, DJU Entertainment, Scott Graham Piano and Signature EvenTx kept the party going all around. 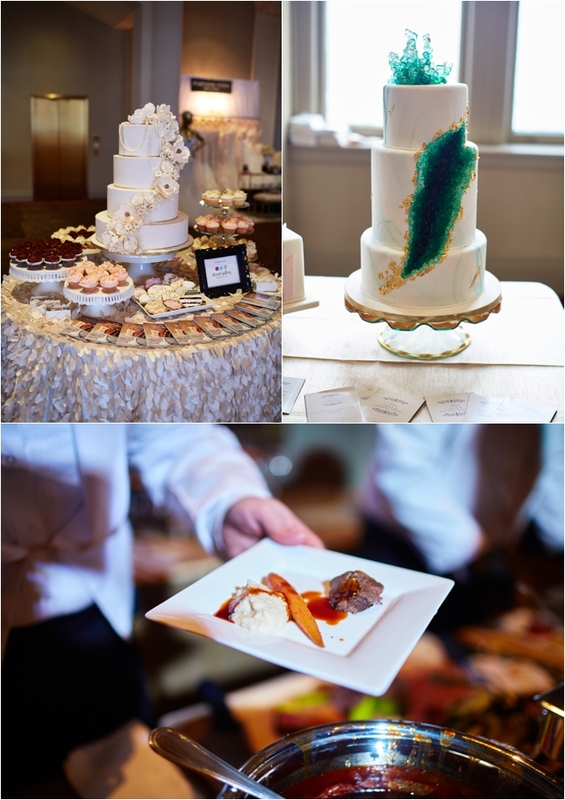 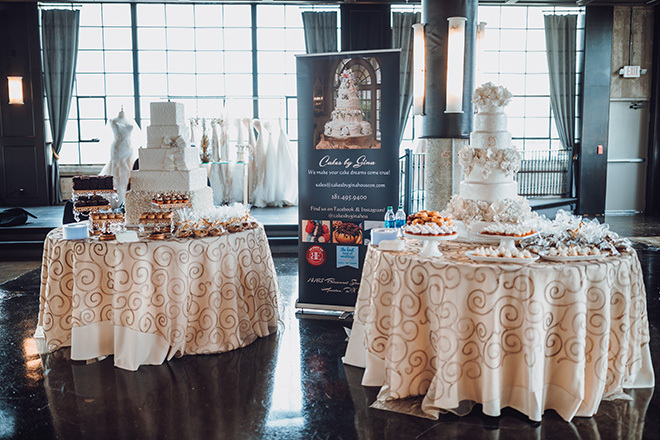 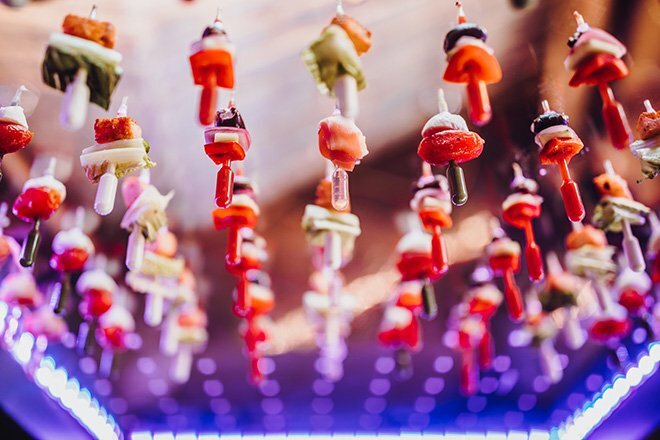 Patrons got a taste of some of Houston’s top caterers and bakers too at the I Do! 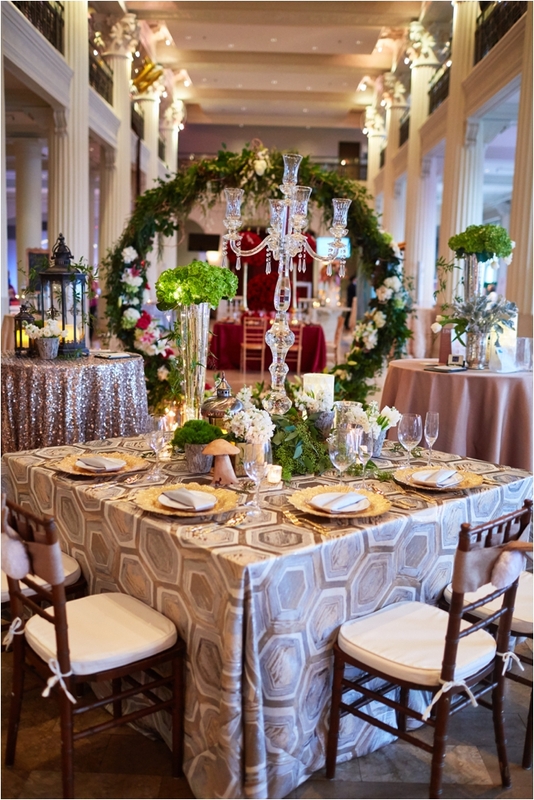 Wedding Soiree. 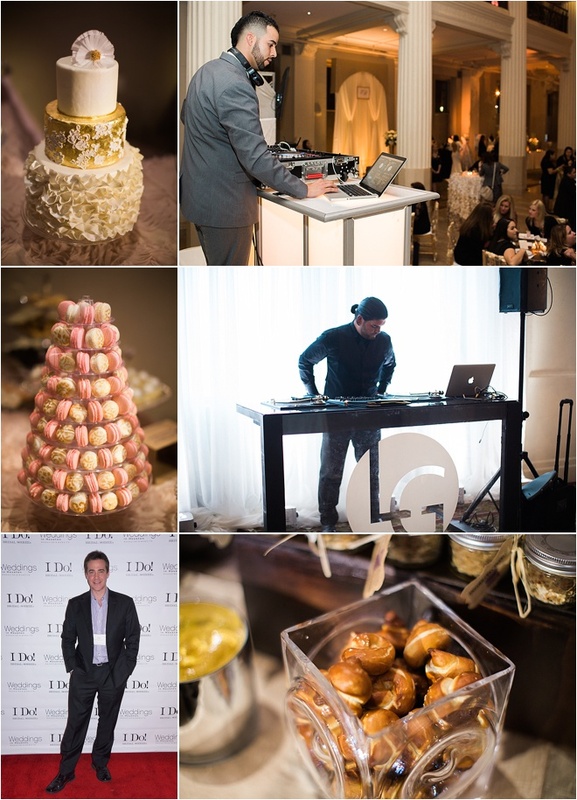 The Corinthian’s Jackson and Company served as the exclusive caterer of the event, spoiling guests with delectable food and drink pairings. 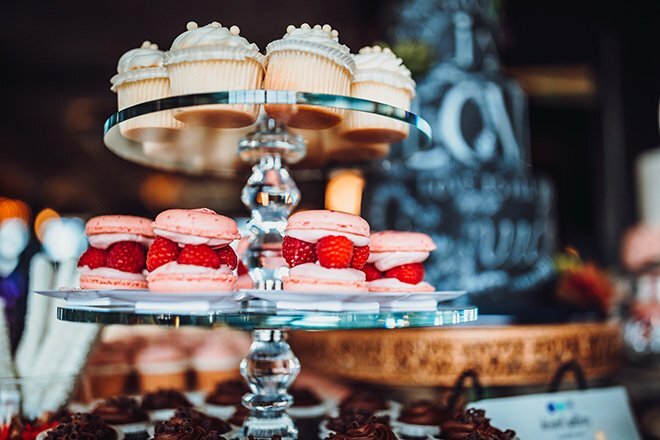 Those with a sweet tooth also were able to satisfy their cravings with treats from Dessert Gallery Bakery + Cafe and Susie’s Cakes & Confections. 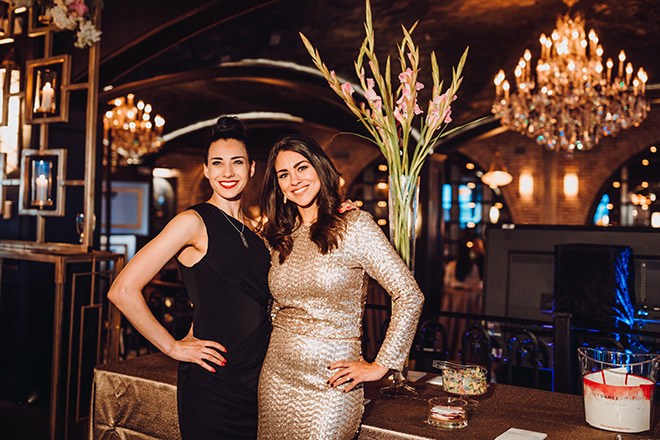 The man women with the plan were also in attendance. 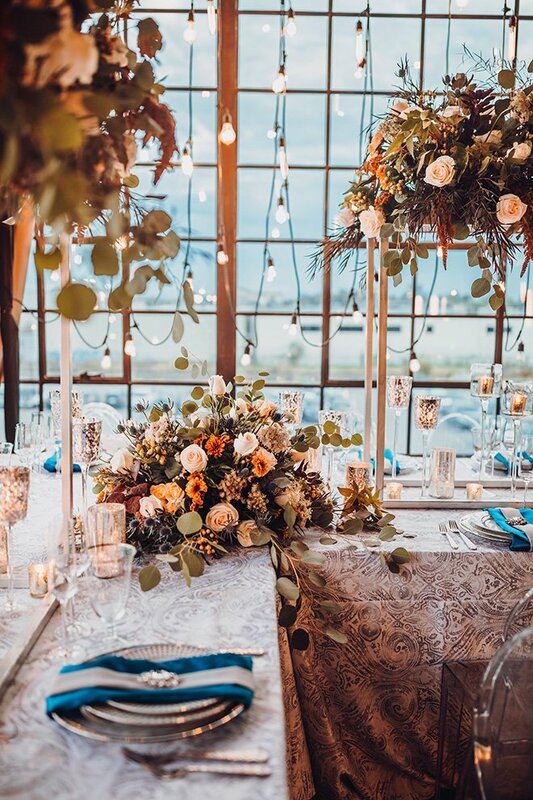 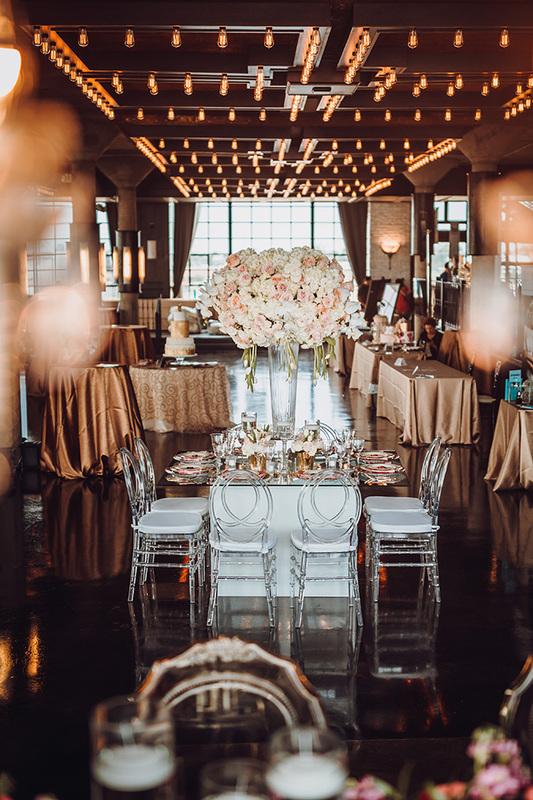 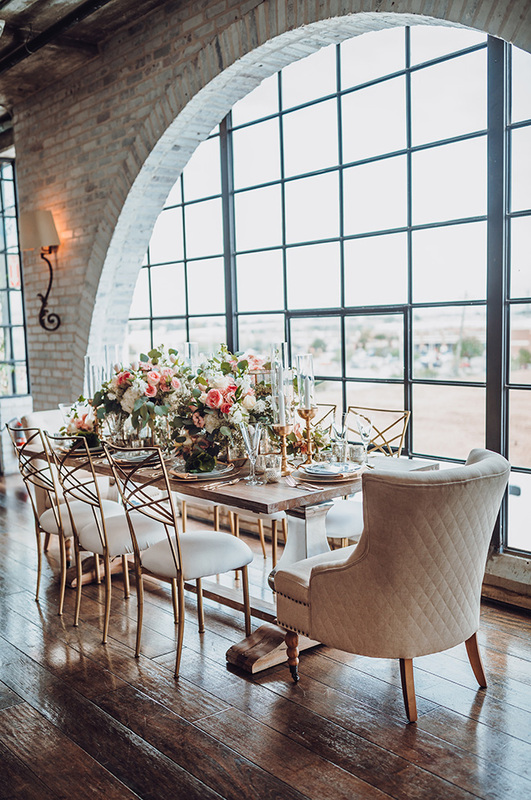 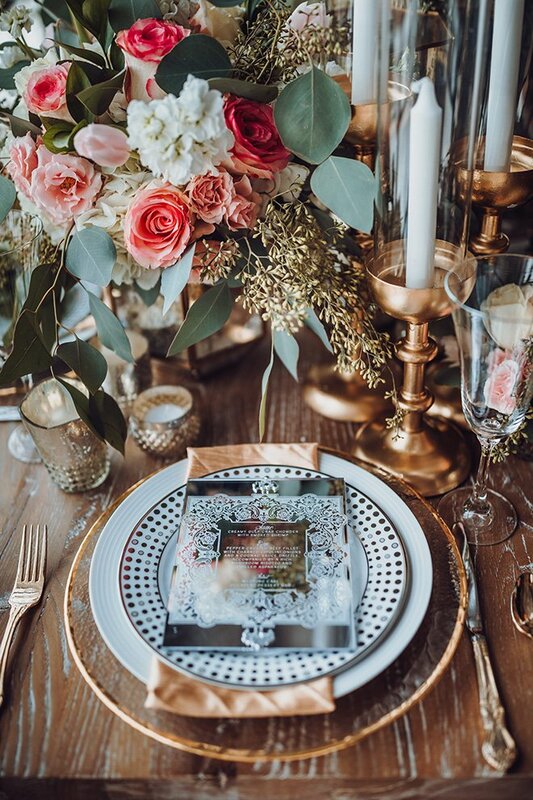 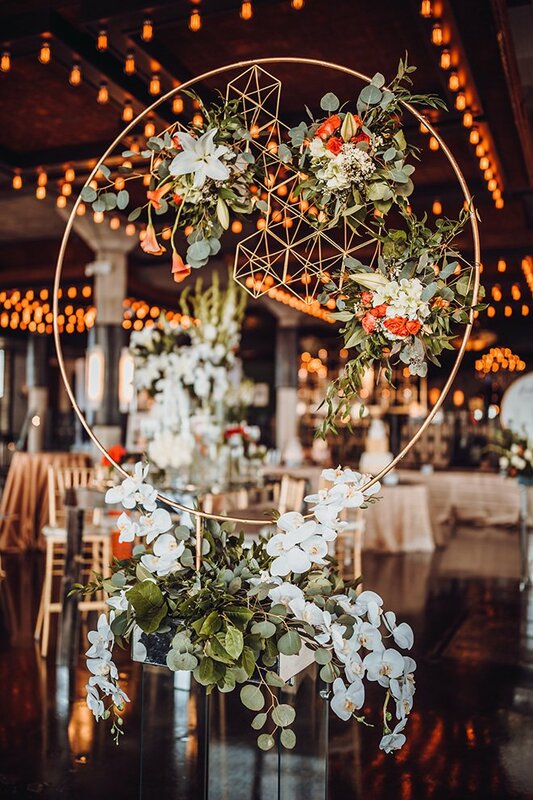 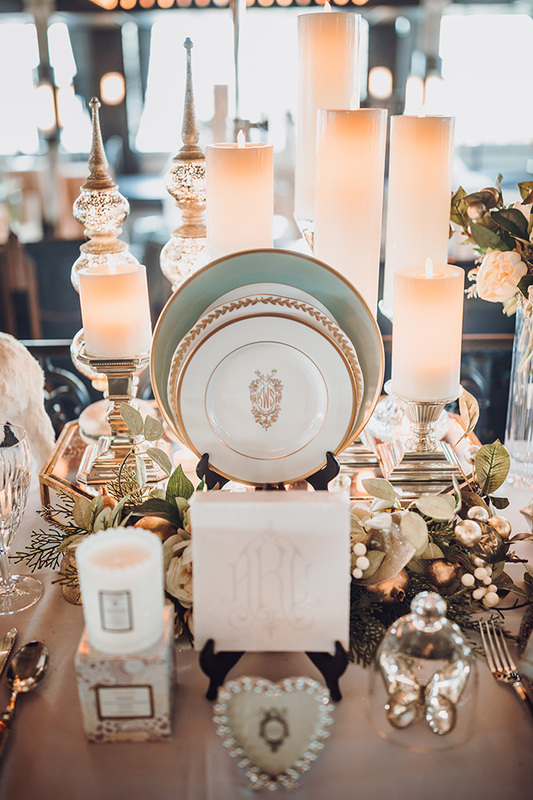 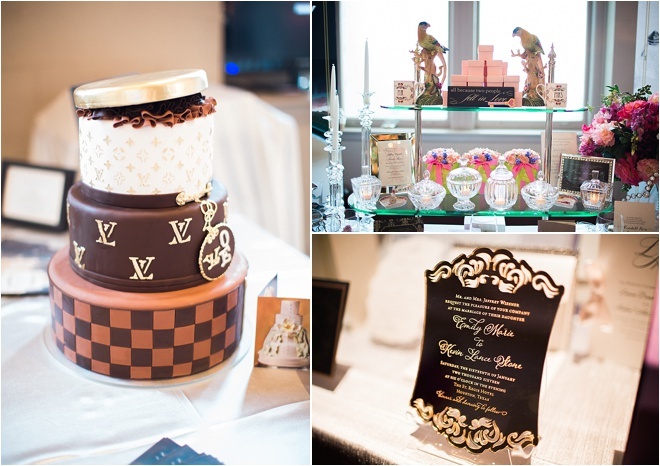 A Day To Remember, Bourbon & Lace Event Services, and Kat Creech Events learned more about our lovely wedding couples and offered guidance for all of wedding planning’s ups and downs. 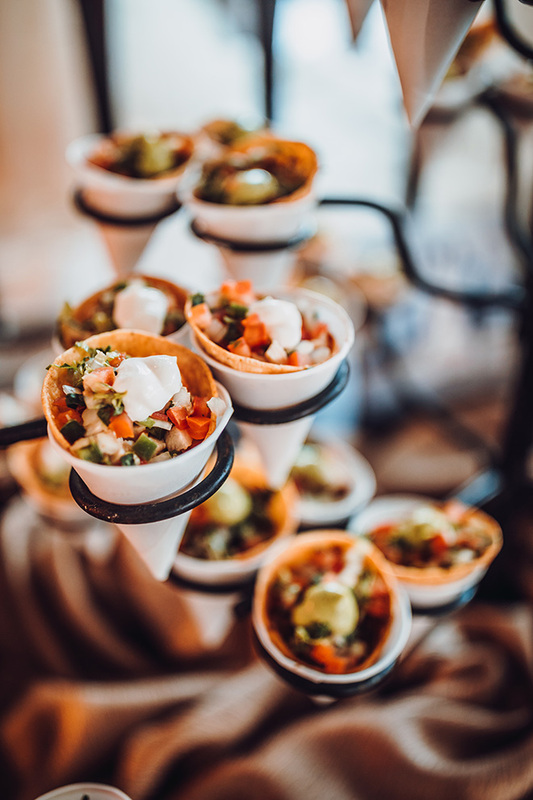 A Day To Remember also designed our awesome Groom’s Lounge, complete with Texas Mules, fresh guacamole and Jackson and Company’s Beef Poptarts. 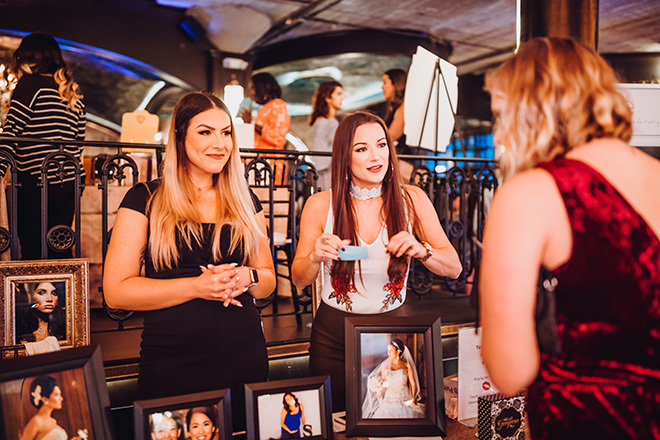 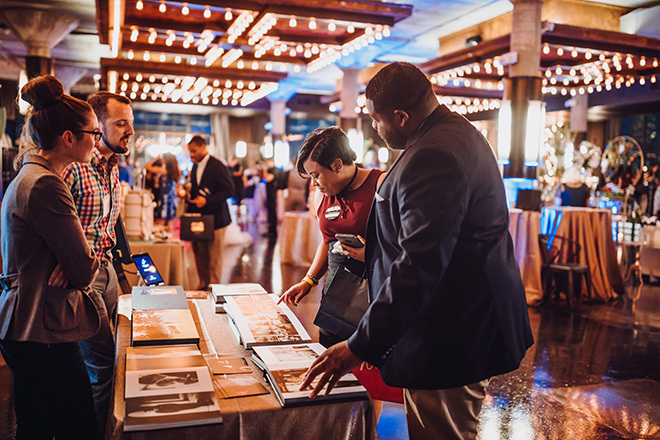 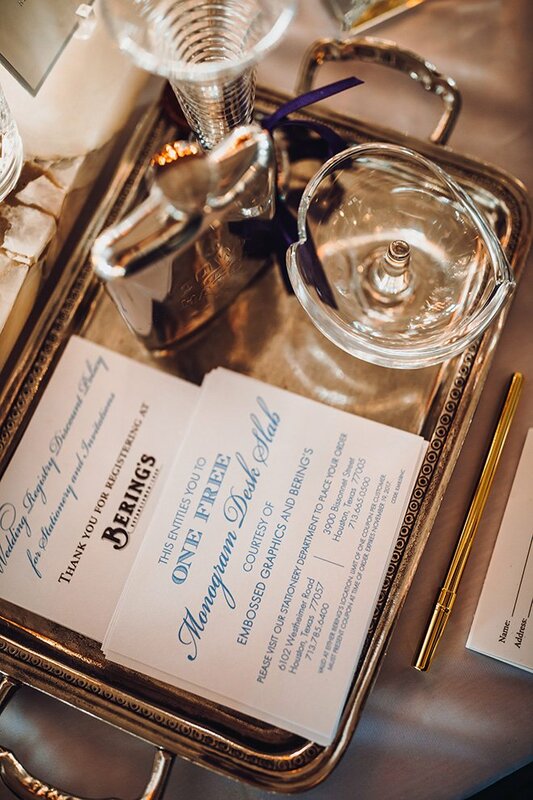 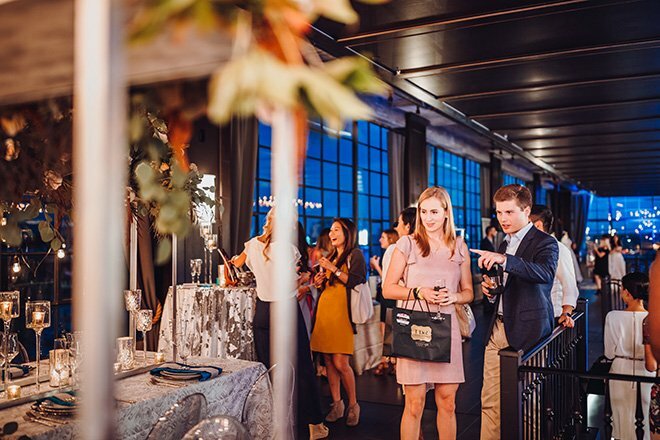 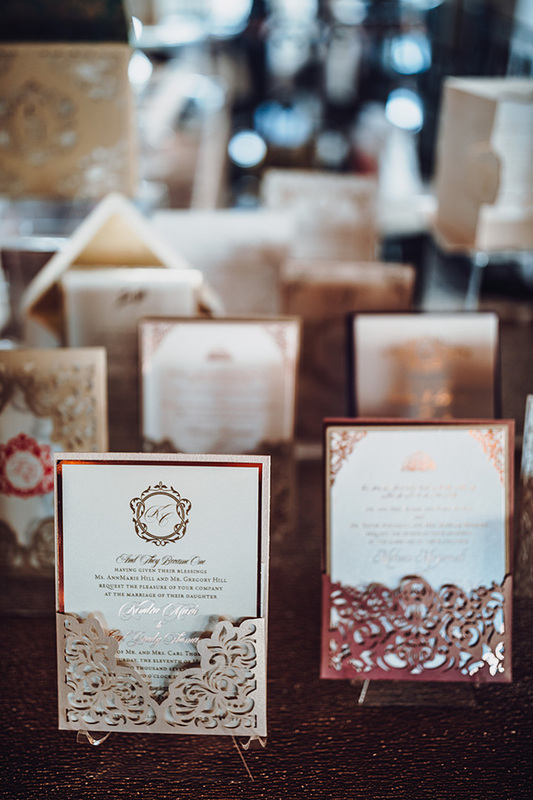 Guests were also able to say hello to some of our favorite invitations and stationery boutiques in Houston — Isabella Invitations and Bering’s. 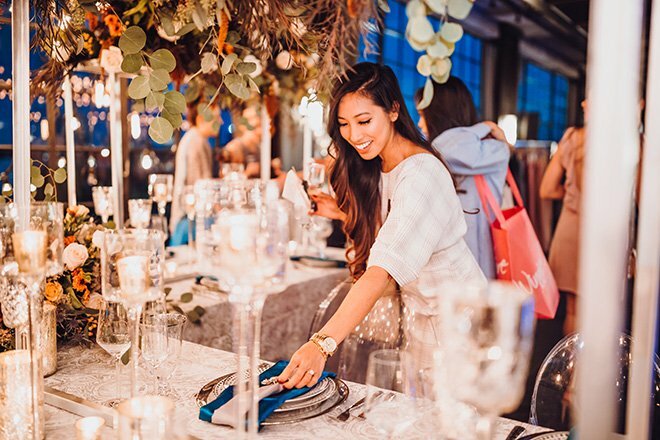 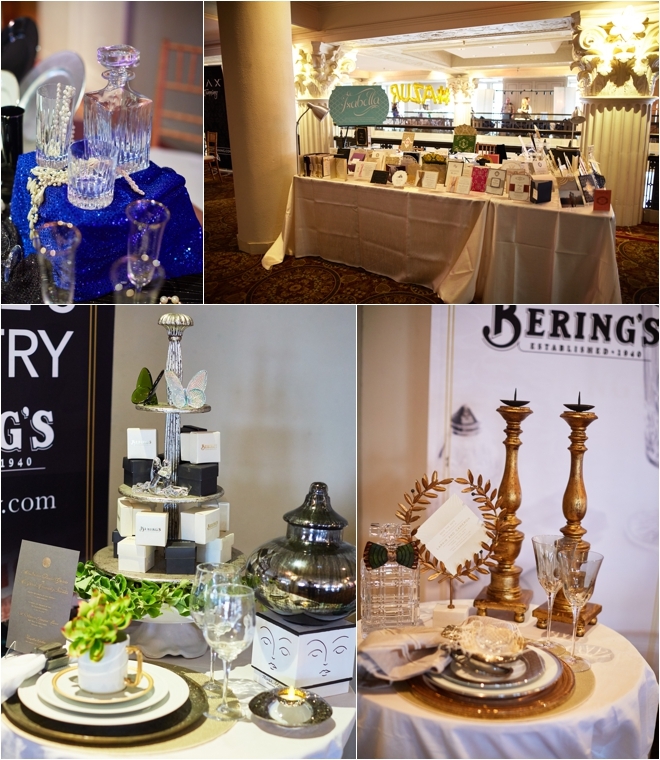 Bering’s along with Celebrity China & Cookware also showed off some of the most wanted registry items for wedding couples of any style. 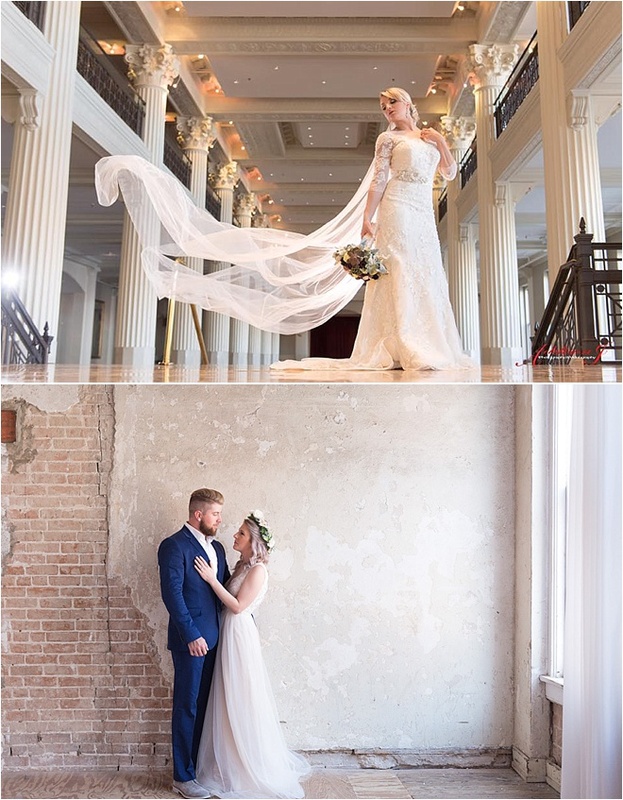 Nine of Houston’s top wedding photographers and videographers — Adam Nyholt, Addison J. 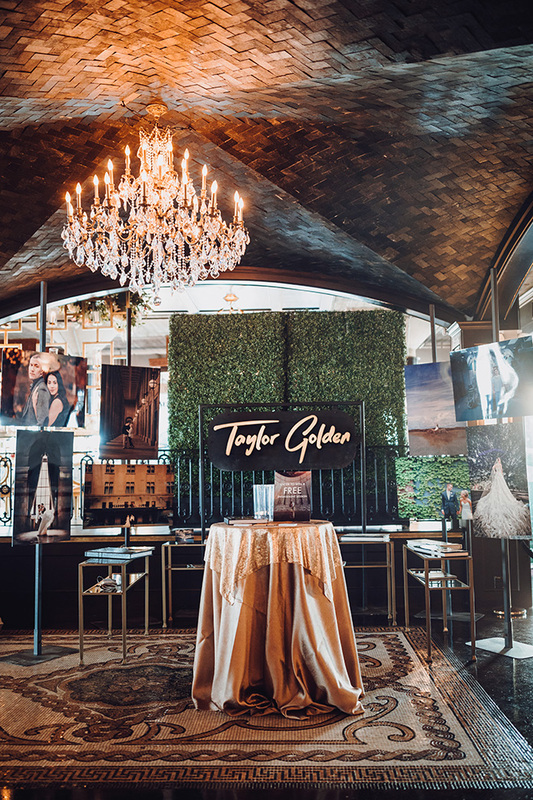 Wedding Photography & Videography, Civic Photos, C. Wright Photography, D. Jones Photography, Dream Photos & Video, Lindsay Elizabeth Photography, Sage Films and Taylor Golden Photography — also met with couples to help them learn how to capture their special days. 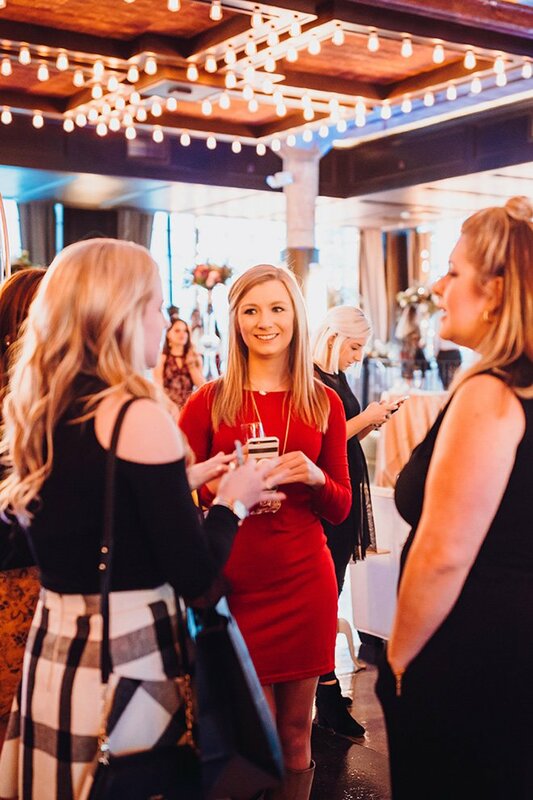 Guests could even get a little more glam, with the help of demonstrations and models from Azur Salon at West Ave. and Kax Salon and Kax Tanning Soufflé. 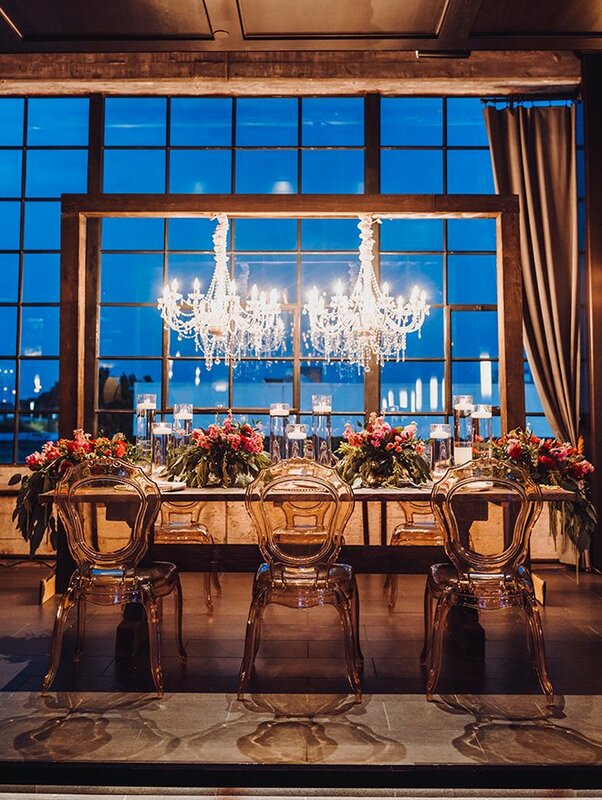 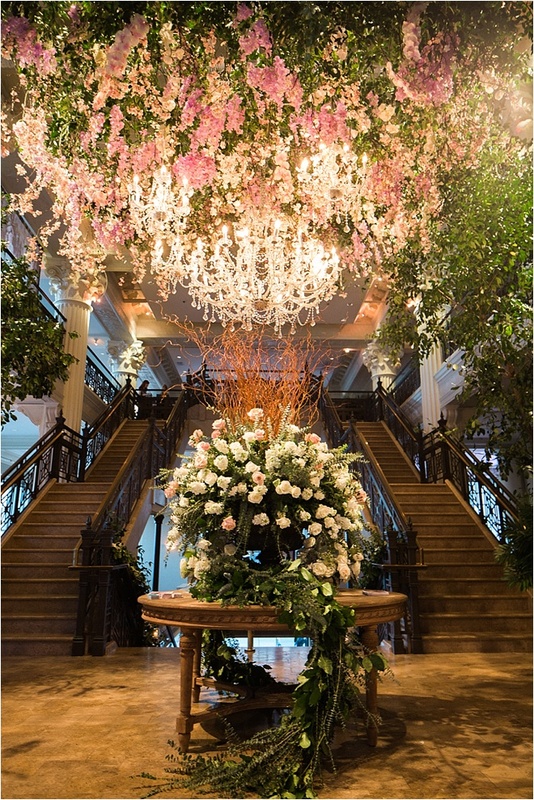 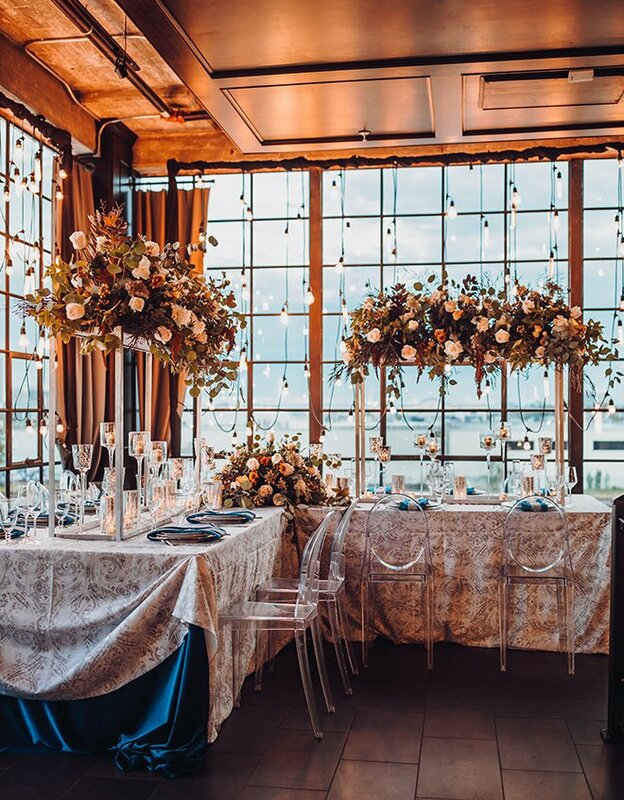 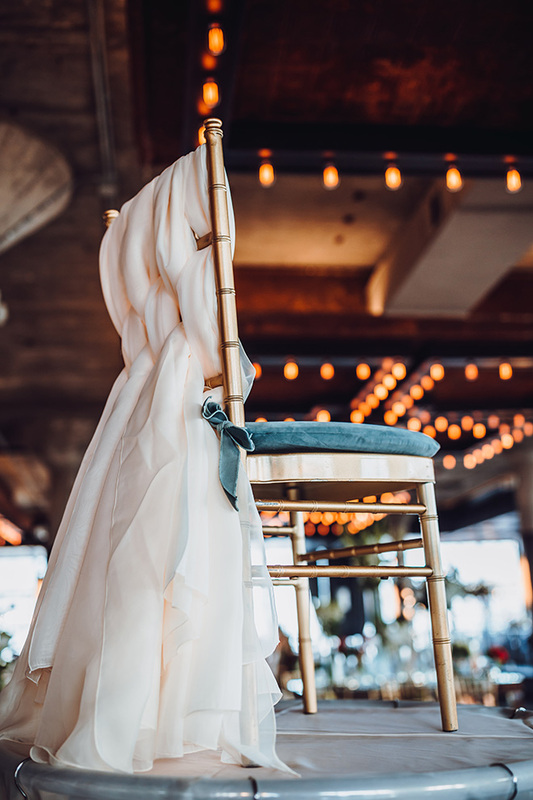 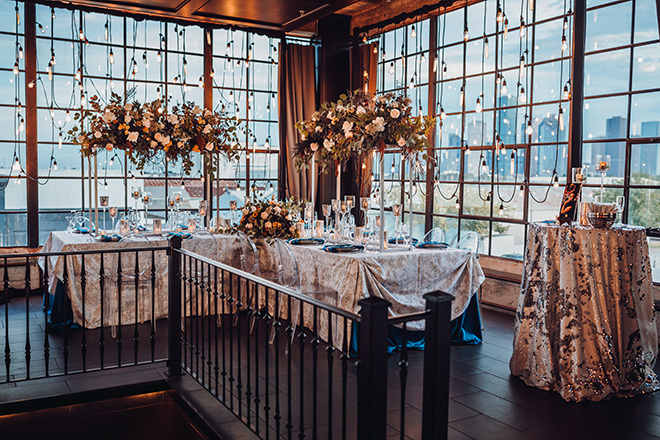 Wedding couples still looking to nail down their venue were also presented with a number of options in addition to our amazing host venue, The Corinthian. 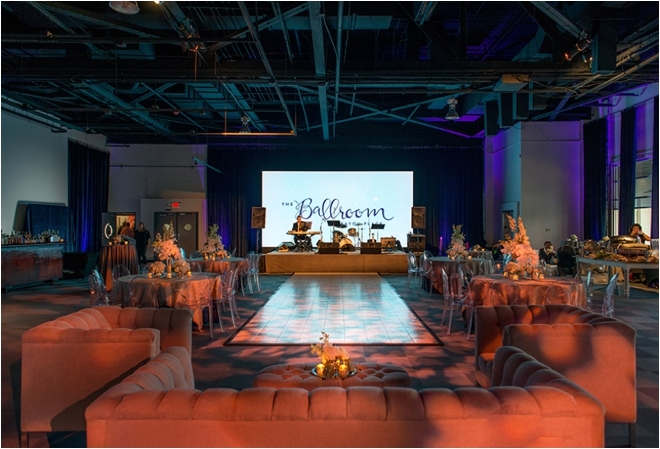 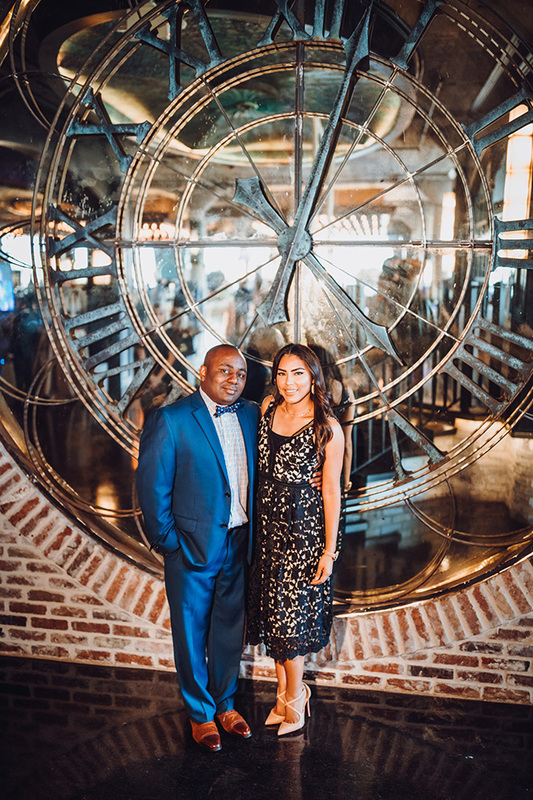 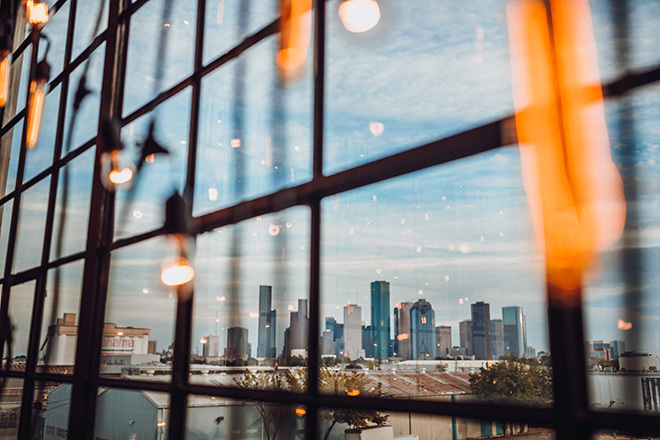 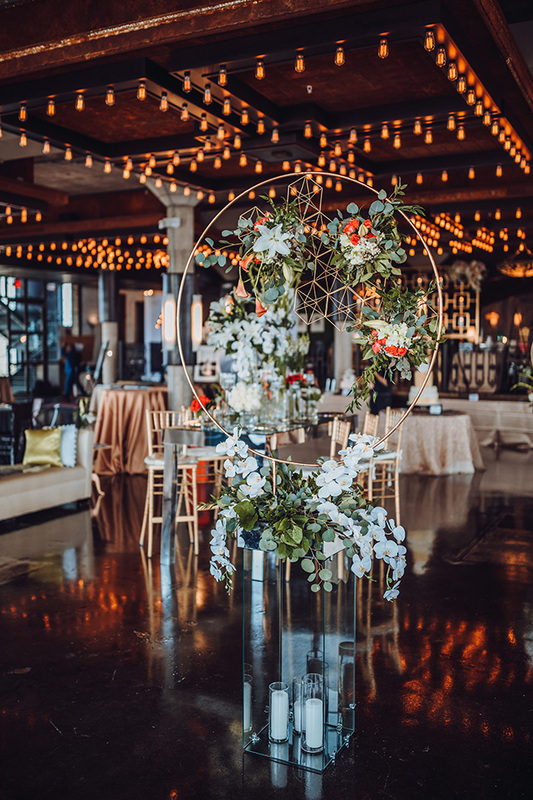 Couples wanting to escape the city or be right in the heart of Houston on your wedding day met with Big Easy Ranch and The Ballroom at Bayou Place. 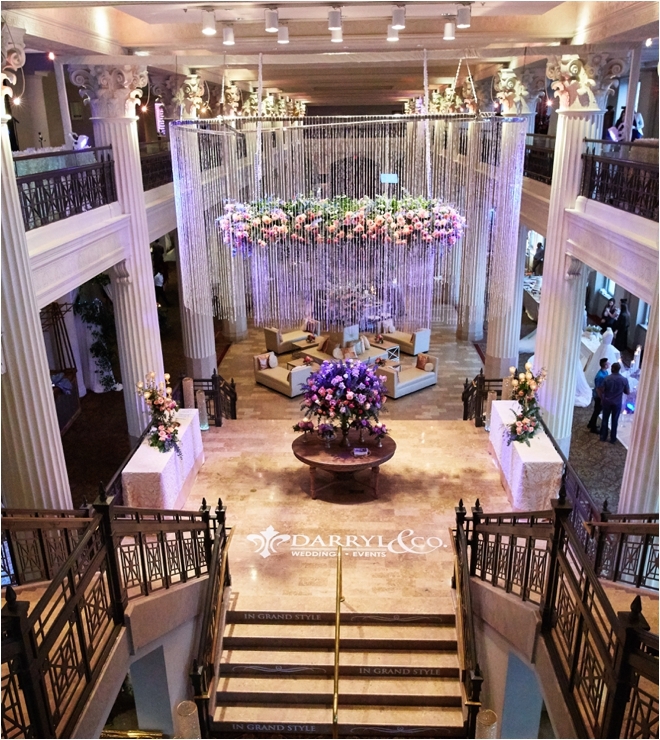 Photo: Civic Photos | Venue: The Corinthian | Decor: Darryl & Co.
And of course we can’t forget about the bling! 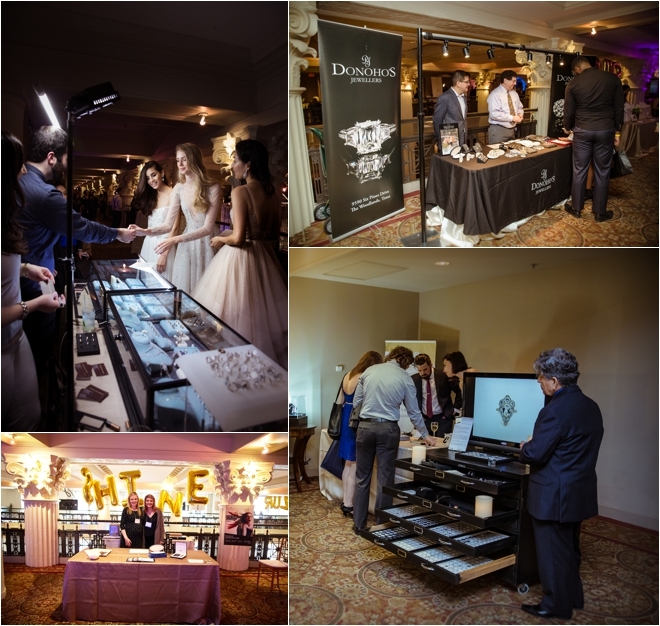 Everyone at the event (including us) were stuck by the dazzling beauties on display from Donoho’s Jewellers, Eklektic Jewelry, Lewis Jewelers and Nazar’s Fine Jewelry. 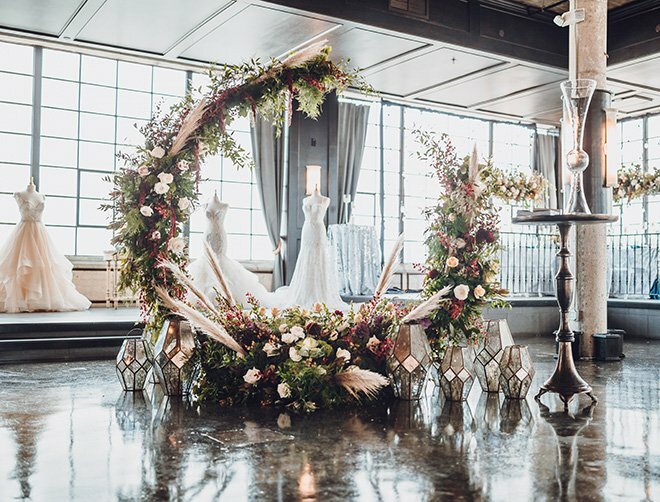 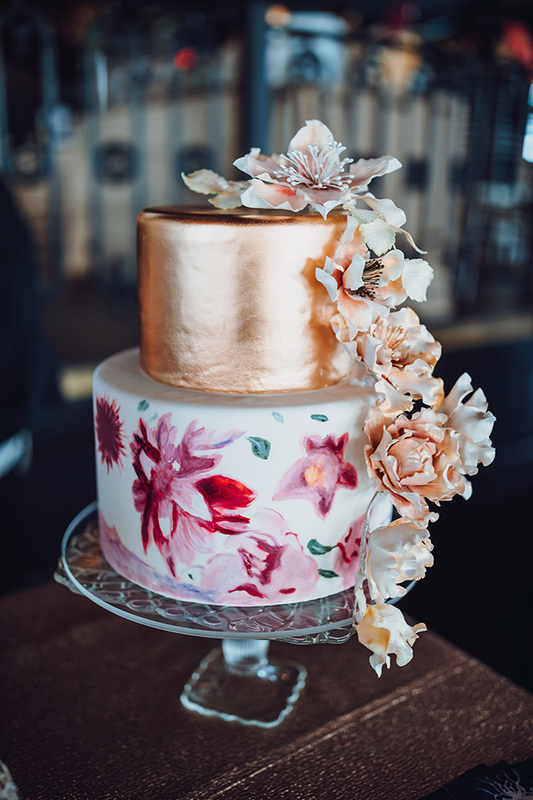 We can’t thank our amazing wedding experts (find a full list here), all of our guests and the amazing team at The Corinthian for making this I Do! 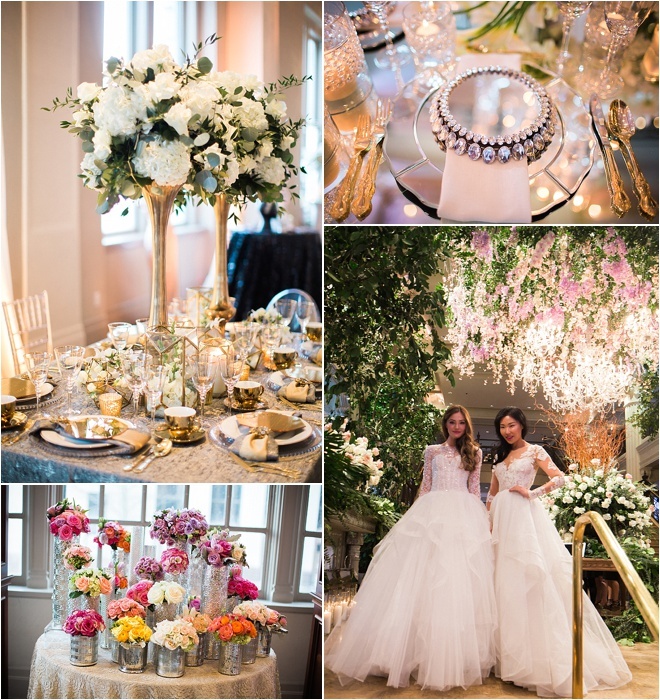 Wedding Soiree the best one yet. 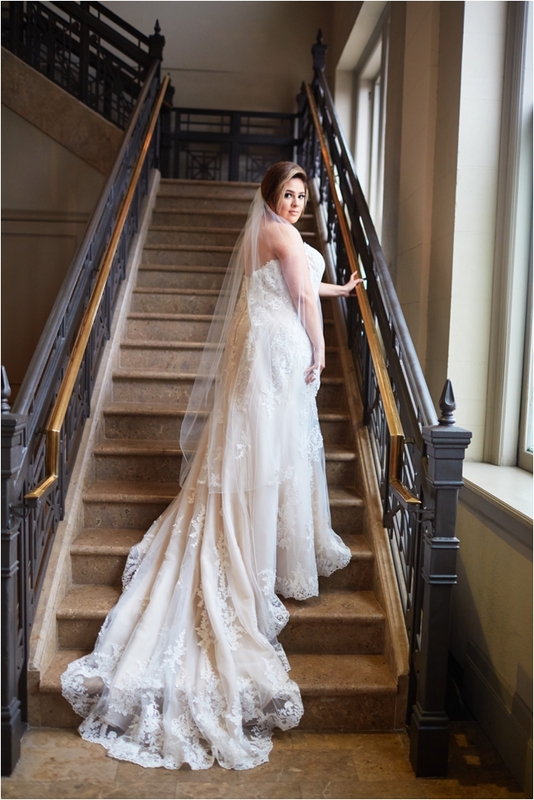 Want to see more pics? 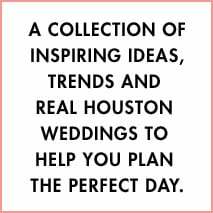 Check us out on Facebook and Instagram. 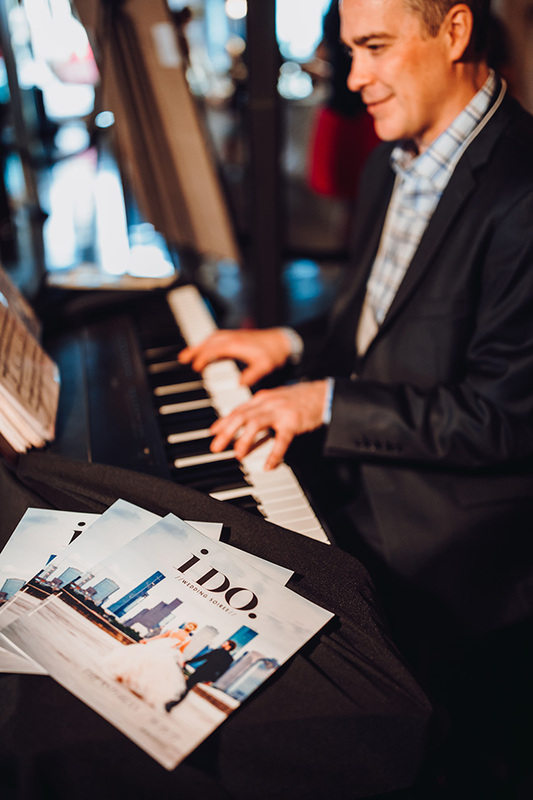 And stay tuned for details on our next I Do! 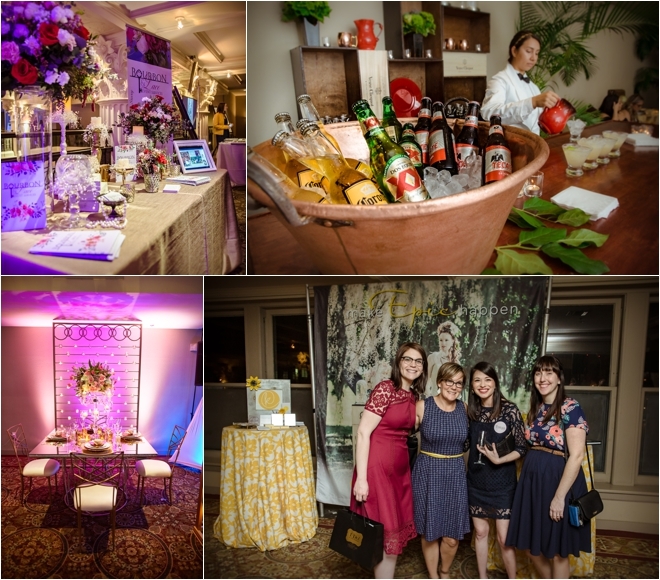 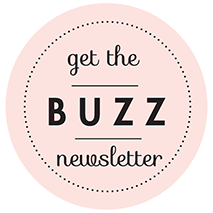 Wedding Soiree, coming in Fall, 2017!